It is known to all that when a hard drive is reformatted, all data on the drive will be wiped. How to undo format? Various storage devices such as memory card, USB flash drive, external hard drive, local disk, etc. have made data storage, transfer and exchange an easy process. Files stored on these storage devise are allowed to removed, erased, created, transfer, overwrite, store, etc. Convenient as they brings, problems starts when files are deleted or formatted due to virus or human error. Fortunately, as far as current technology concerns, the invisibility of data on hard drive after reformatting doesn’t mean they are permanently wiped off hard disk. We can undo reformat for hard drive that is formatted or reformatted many times. The process of formatting of hard drive and USB drives is the high level formatting which is also called fast formatting. This kind of formatting is carried out to recreate file system. When new file system is created, old file system is erased. Old file system contains all information of data on hard drive, thus after formatting operating system can’t access files. Most users feel that files on hard drive will be permanently wiped after formatting several times. Formatting can be done many times, after which file system might change. Moreover, the creating of file system usually takes places from the beginning location of partition, which won’t affect data stored on drive. Though formatted remain invisible to operating and users, they are recoverable. In a world, we have chance to recover reformatted data. 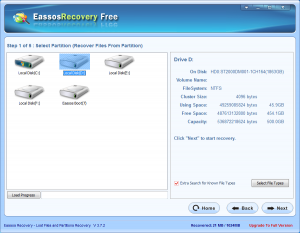 How to unformat hard drive and get back lost files? 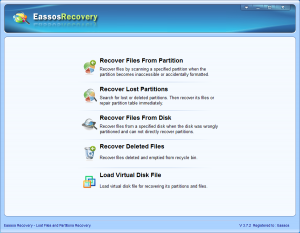 Step 1: Install Eassos Recovery to a healthy partition that doesn’t need data recovery. Step 2: Launch the undo format software and select recovery function. Step 3: Select the reformatted hard drive or partition and click “Next” to scan reformatted data. Step 4: Preview and copy wanted files. 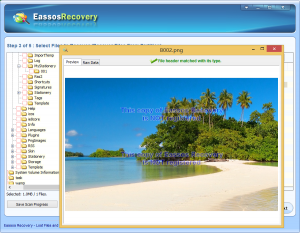 This entry was posted in Data Recovery and tagged recover data from reformatted hard drive, reformatted hard drive recovery, Undo format, unformat hard drive by EASSOS. Bookmark the permalink.